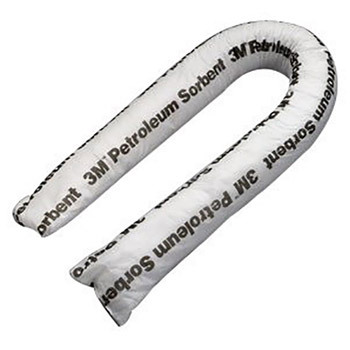 3M Petroleum Sorbents absorb up to 100% more oil by weight than other leading melt blown sorbents. High absorption capacity reduces the amount that the sorbent needs to be changed, reducing material and labor costs. Available in pads, booms, rolls and pillows. Price per package. WARNING! Failure to properly handle and dispose of sorbents contaminated by hazardous materials can result in serious physical injury or death and/or environmental harm. For proper handling, consult the Material Safety Data Sheet for the material absorbed, applicable safety and health standards, contact your supervisor, or call 3M at 1-800-243-4630. To reduce the risk of serious physical injury or death, always use respiratory protection and protective clothing appropriate for handling the material to be abdorbed. Transportation and disposal of spent sorbents must comply with all applicable federal, state and local laws and regulations. CAUTION - Sorbents may become slippery when used on flooring. Do not walk on sorbent or place in high traffic areas.